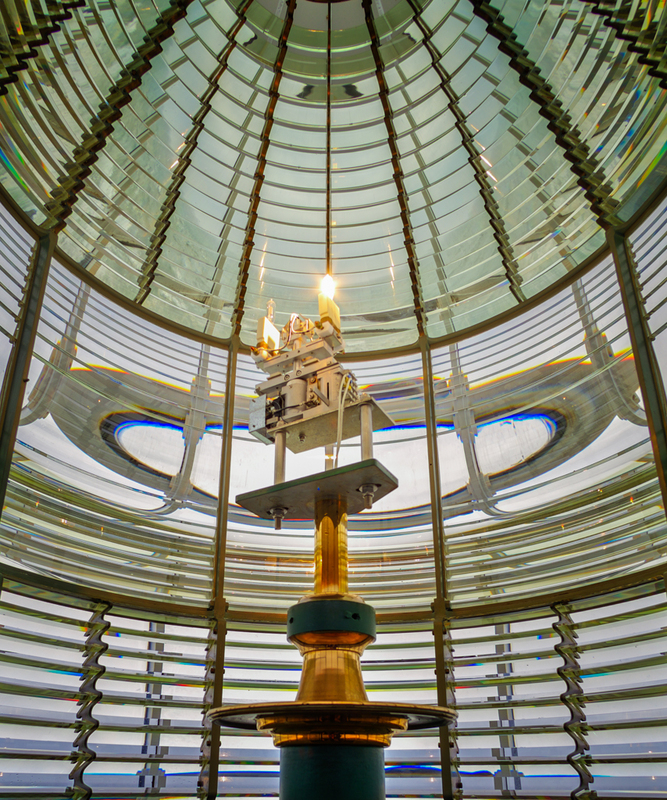 Lighthouses have played an important role in the safety and commerce of sea-bound vessels. This small lamp in the Yaquina Head lighthouse on the Oregon coast seems unimpressive. Yet, with the help of fresnel prism technology, the reach of this tiny lamp is magnified and can be seem from ships that are 20 miles out to sea! Likewise, we may also feel that the light we can offer to the world is small and unimportant. But with the magnifying influence of God and His gifts in our lives, our small light can have an important and far-reaching influence. God is the “Fresnel Prism” in our lives. May we trust Him fully and allow his power to magnify our ability to do good.